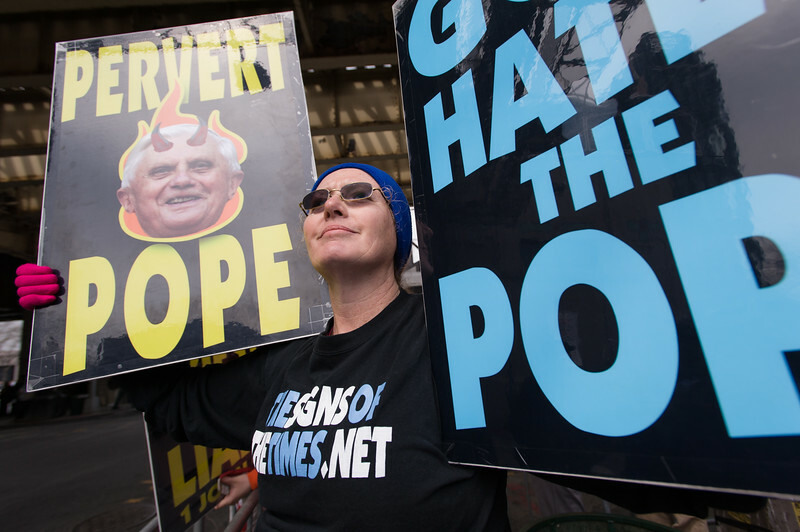 Members of the Westboro Baptist Church protest the Pope's visit to Yankee Stadium on Sunday, April 20, 2008. Reverend Fred Phelps is the founder of the 71-member Church located in Topeka, Kansas. 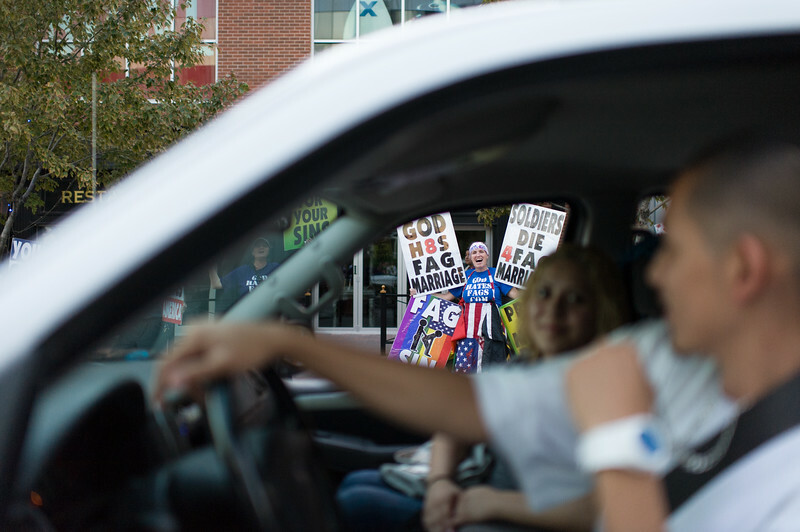 The WBC is opposed to American's acceptance of homosexuality and routinely pickets the funerals of U.S. soldiers killed in Iraq and Afghanistan. Rebekah, Megan and their mother Shirley Phelps-Roper making final convoy plans before heading out to picket a musical concert by Enrique Igesias an hour away in Kansas City, MO. 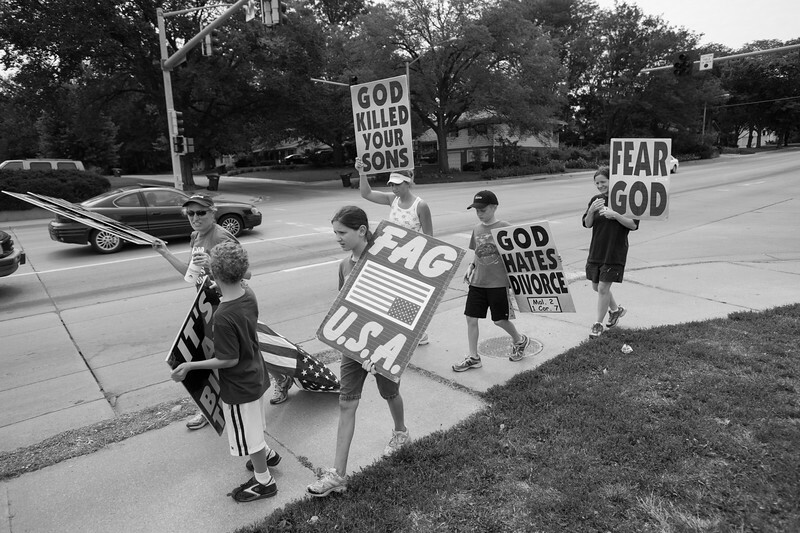 Several young members of the Westboro Baptist Church conduct their daily protest near Gage park in Topeka, Kansas. This is the location of the ministry’s first protest in June of 1991, which is just blocks from the Phelps family home. According to Pastor Phelps, a homosexual tried to lure his then five-year old grandson into some shrubbery. In an age when the mantra of "tolerance" is invoked so often that it has evolved into a kind of secular 11th Commandment, the notion of overt, unapologetic intolerance -- of others' beliefs, behaviors, rituals -- can sometimes feel like the last taboo. But in that strange, charged environment where tolerance and intolerance intersect, a photographer can sometimes find moments of astonishing, unexpected revelation. It is an environment inhabited -- defiantly, gladly -- by The Westboro Baptist Church. The profoundly controversial ministry is located in rural Topeka, Kansas, and was founded in 1956 by Pastor Fred Phelps, 81, a former civil rights attorney and a man John F. Kennedy Jr.'s George magazine once included in a list of the "Twenty Most Fascinating Men in Politics." 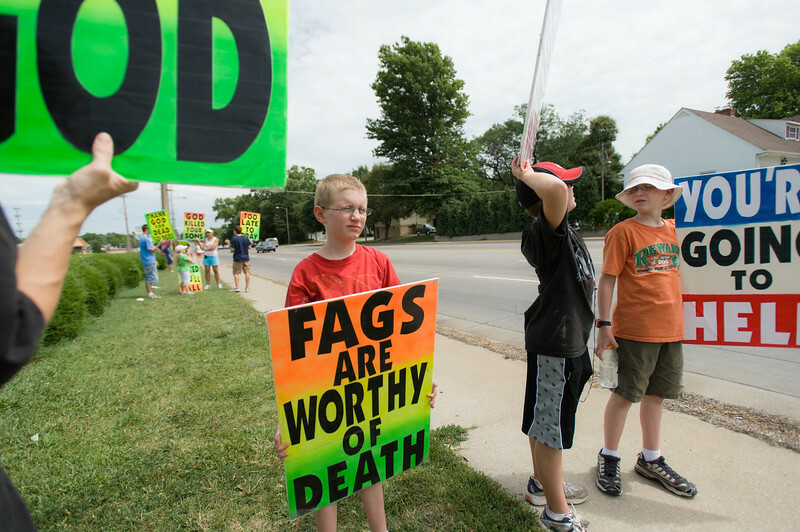 Infamous for the incendiary picket signs members wield at seemingly every high-profile funeral in the United States (God Hates Fags. Thank God for 9/11. Thank God for Dead Soldiers. 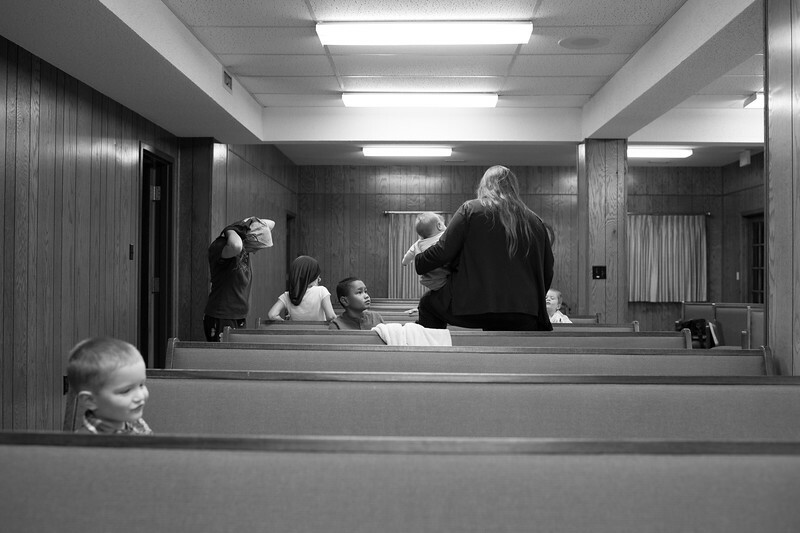 ), the church might well be the most despised congregation in America. 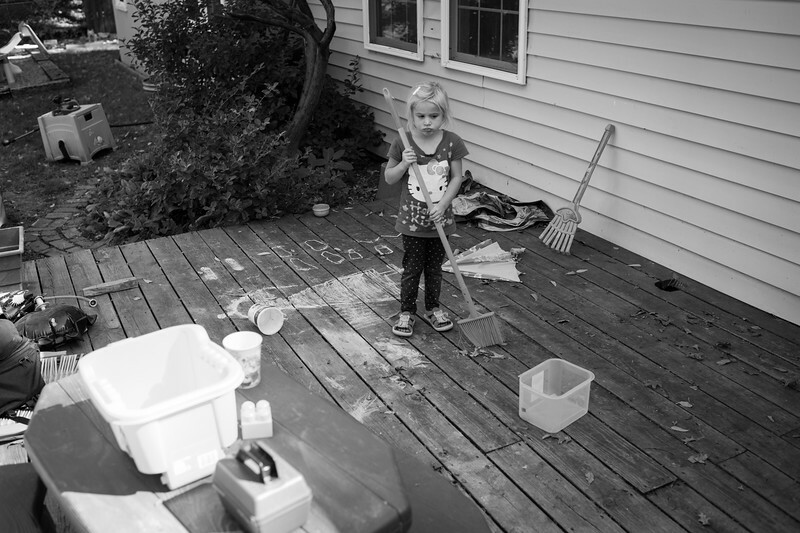 Documenting Westboro in my photographs is, in a sense, a deeply personal endeavor. 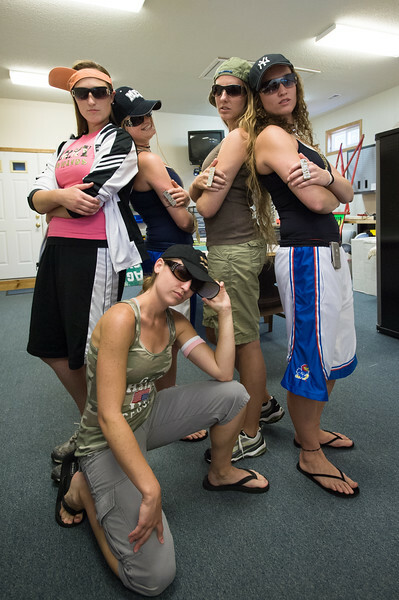 The controversy surrounding their actions was, in all honesty, random noise to me until the day I found myself inside the Westboro compound in Topeka, at the home of Pastor Phelps' daughter, Shirley. With a shock, I noticed a picket sign praising God's creation of IEDs and (in the Phelps' eyes) their blessed role in the death of Lance Cpl. Matthew A. Snyder, killed in Iraq in 2006. As a proud former Marine, with a son who currently serves, I was stunned by the church's glib celebration of the death of one of my military brothers. At the very same time, I resolved to document the church members and their beliefs -- beliefs so utterly alien to and at odds with my own. Aside from the questionable scriptural interpretation and faith-based sexual intolerance for which Westboro is so notorious, the project forced me to question my own values and personal credos. Do I, in fact or only in theory, stand for those principles I originally joined the Marines to defend: the ideals of freedom of speech and the right to protest -- even if that protest questions the worth and patriotism of my own son? Would I be able to document these people fairly, or would I subconsciously veer toward portraying them in a wholly negative light? 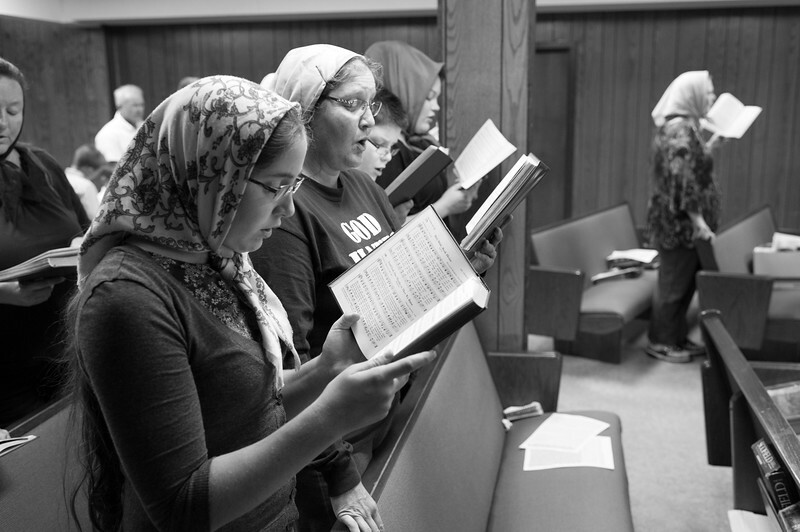 Ultimately, my aim and purpose with this project was not only to put a face on a marginalized and (in large part) reviled religious group, but also to explore as honestly as possible their humanity -- no matter how hateful and abhorrent they might appear to those of us on the outside. 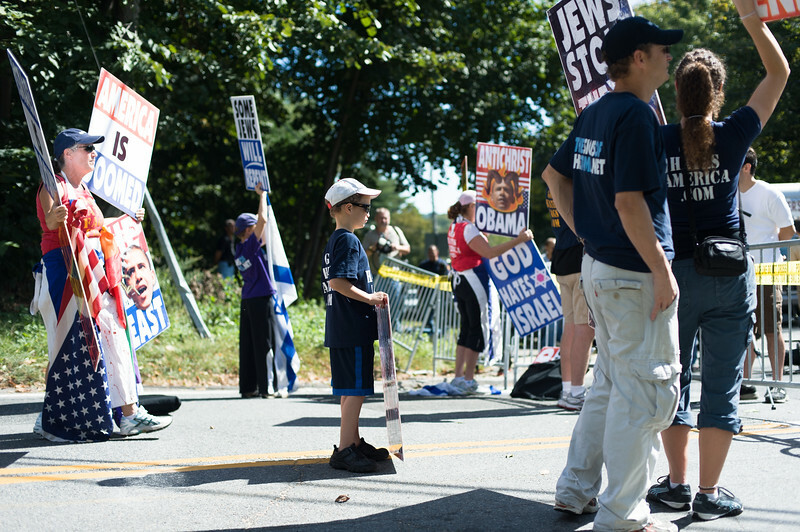 In this photo: Members of Westboro Baptist Church start to arrive for Sunday service. Topeka, Kansas. 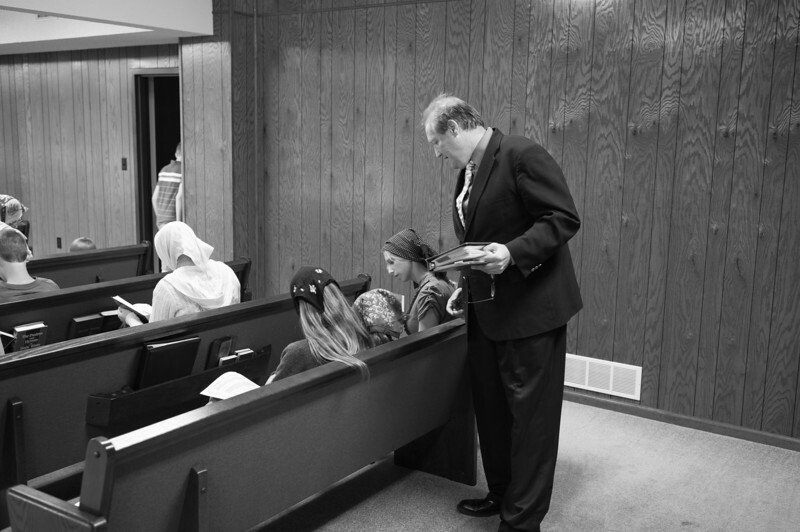 Pastor Fred Phelps leads Sunday services at the Westboro Baptist Church Topeka, Kansas. 2008. 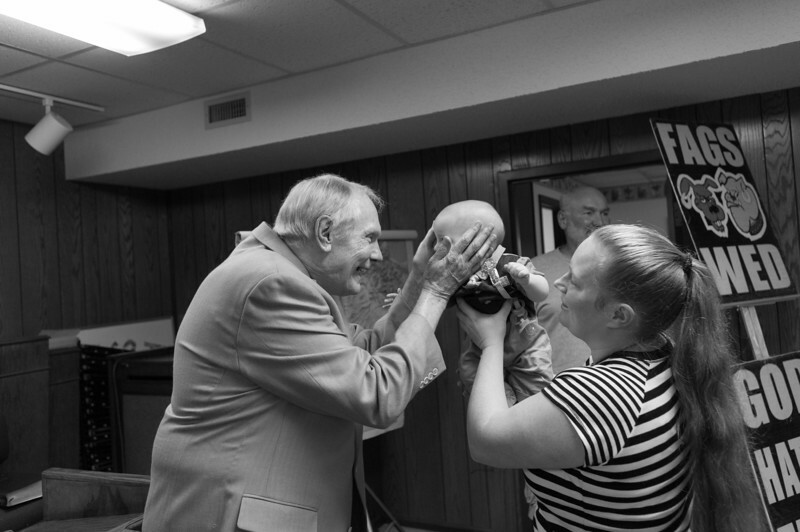 Pastor Fred Phelps embraces one of his children following a service which highlighted the evils of homosexuality. 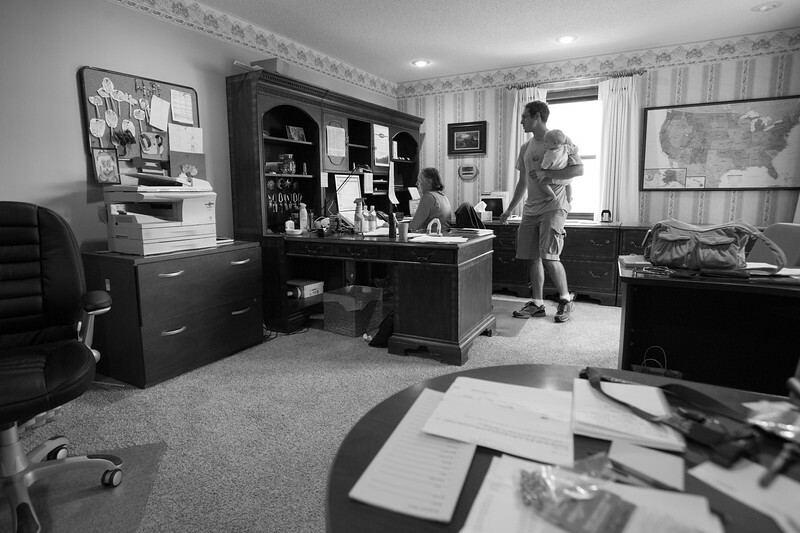 Megan (right) and her mother Shirley Phelps-Roper answer emails in their home office. 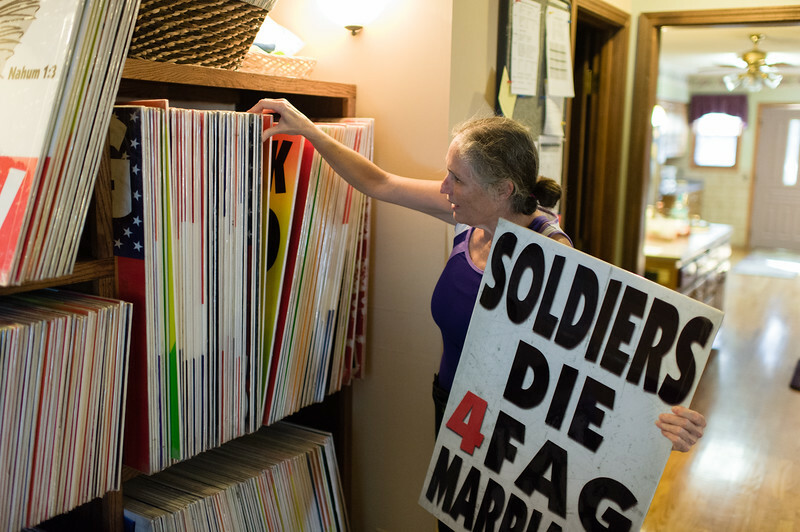 Shirley Roper Phelps, daughter of Pastor Fred Phelps, in her home in Topeka Kansas. Shirley Phelps-Roper stands in protest of society and it’s demoralization during a concert in Kansas City, MO by Enrique Igesias. 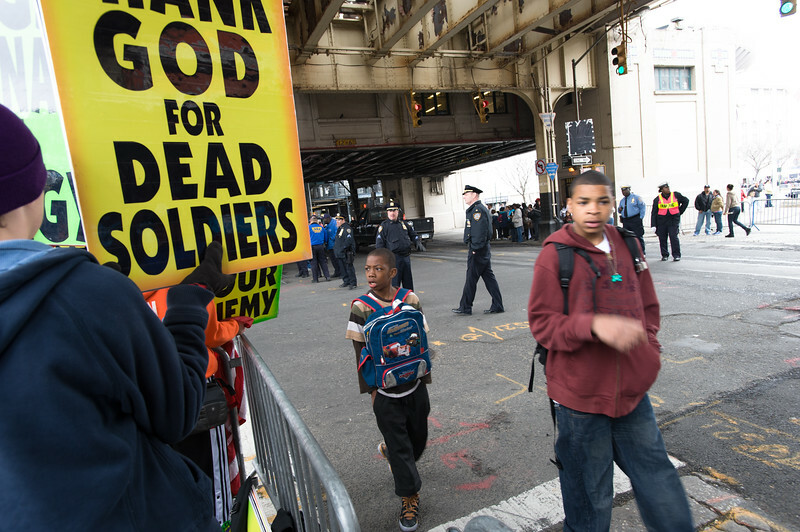 US Army veteran stands amidst members of the Westboro Baptist Church protesting the Pope's visit to Yankee Stadium on Sunday, April 20, 2008. 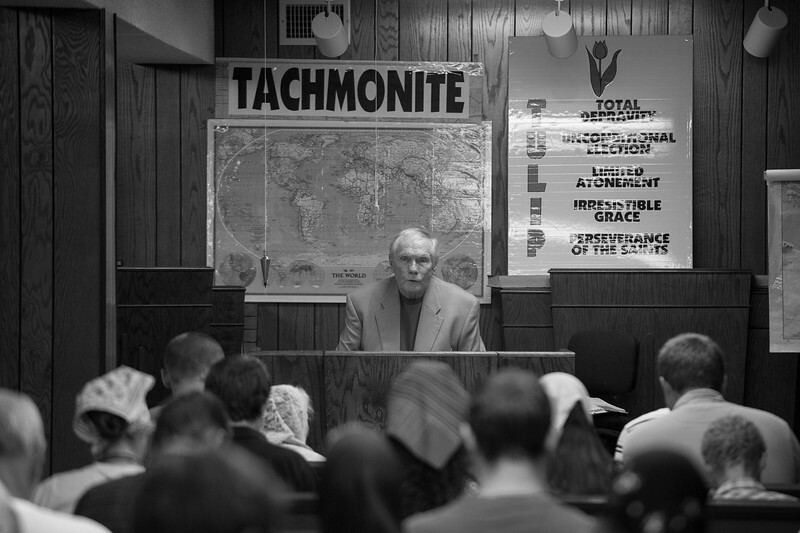 Reverend Fred Phelps is the founder of the 71-member Church located in Topeka, Kansas. The WBC is opposed to American's acceptance of homosexuality and routinely pickets the funerals of U.S. soldiers killed in Iraq and Afghanistan. 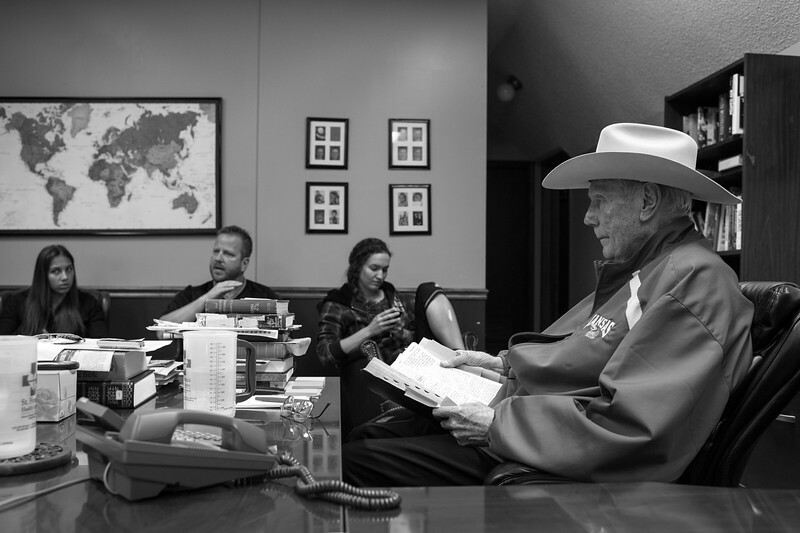 Pastor Fred Phelps in his home office, Topeka, Kansas. 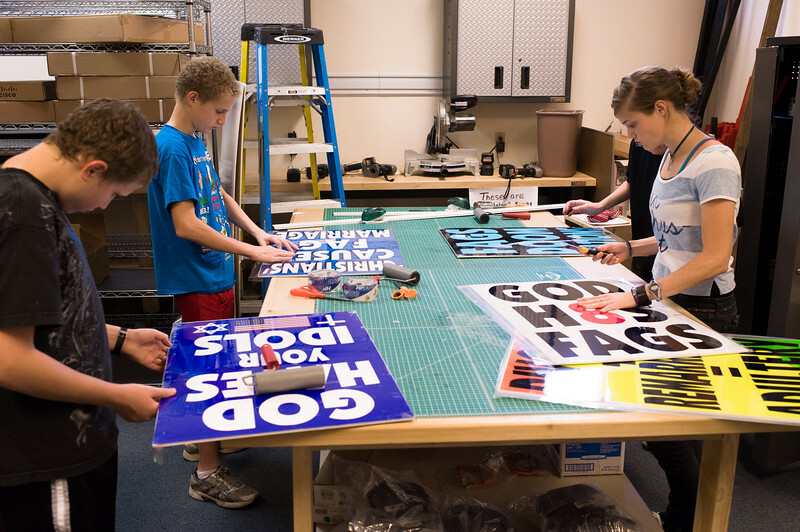 Family members in the sign shop preparing signs for an upcoming protest. The Westboro Baptist Church is based in a circle of houses in a middle-class Topeka neighborhood. In one house, Phelps raised his family, and eventually the neighbors' houses were purchased, effectively creating a compound. 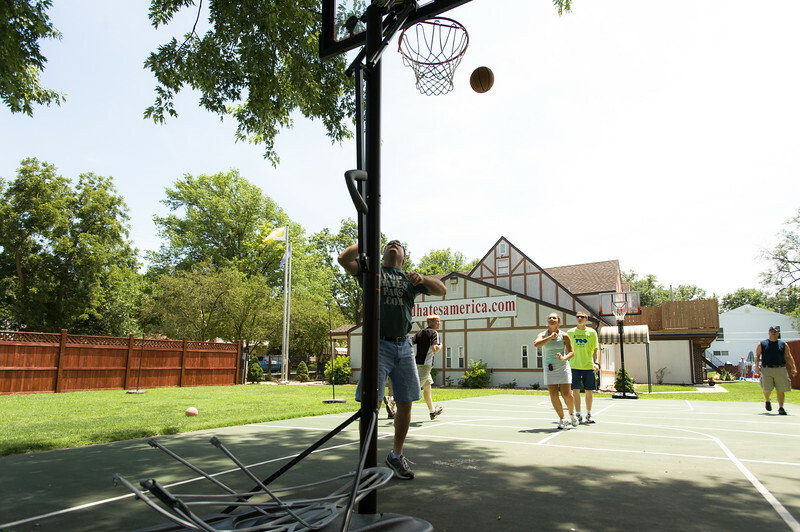 All the houses share a large fenced backyard, which includes a full-sized pool and basketball court. Jonah Phelps-Roper prepares a picket sign in the “spray room.” The room is part of the sign shop, which is a highly efficient production facility within the Westboro compound. 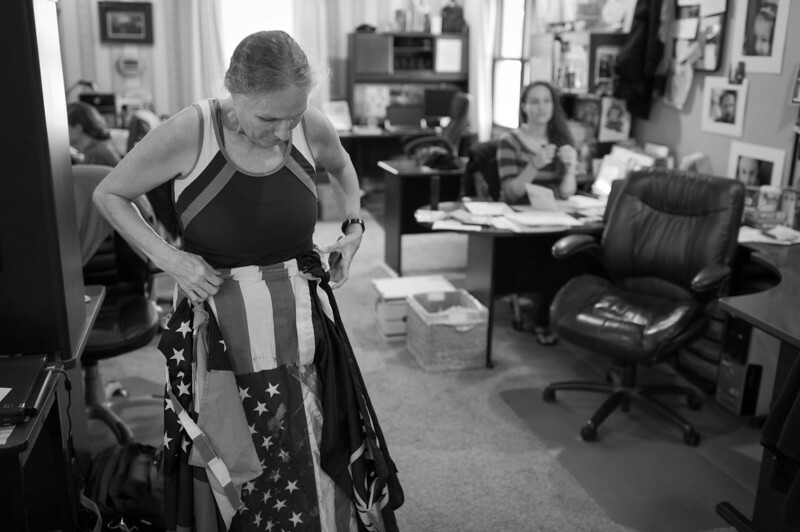 54-year old law office manager Shirley Phelps-Roper, in her home office in Topeka, KS., adjusts a makeshift skirt she routinely wears during pickets. 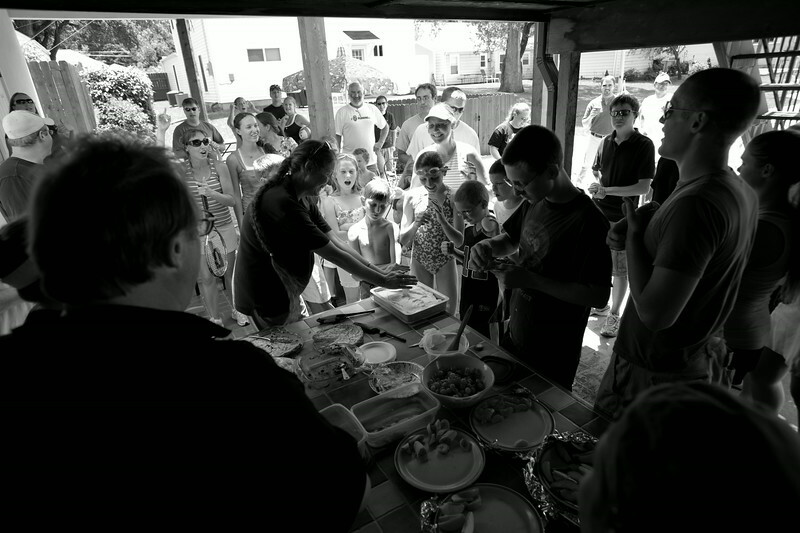 Members of the church join in to celebrate a birthday shortly after Sunday service. 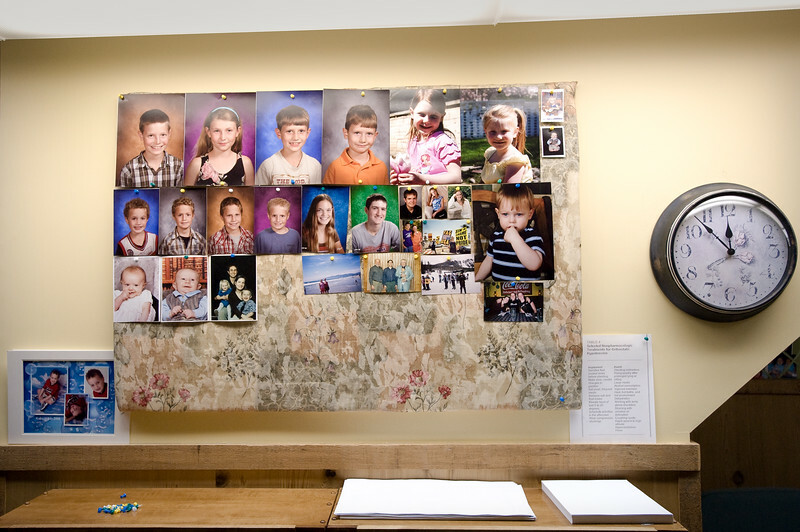 Since my visit to the church in 2008, two members shown in this image have left the congregation to start new lives. Once a member leaves, they are basically disowned - never to speak to their families again. At the home of Shirley Phelps. 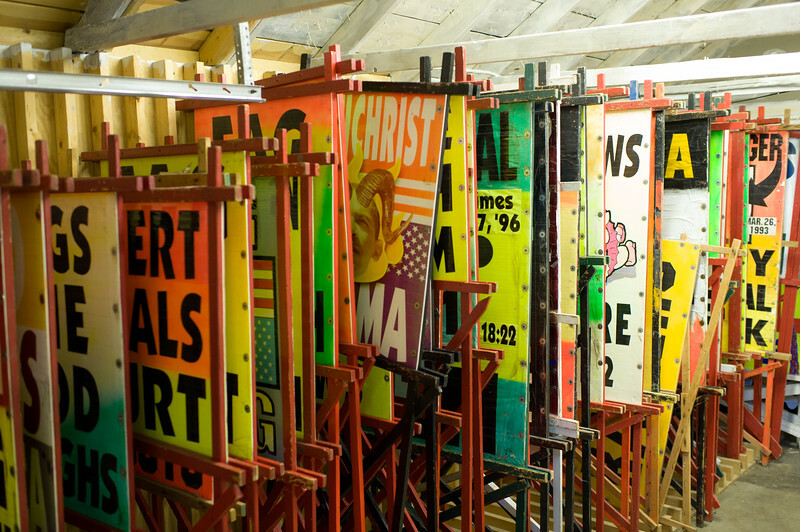 In the background are some of the thousands of handmade signs, which will be used in pickets across the country. 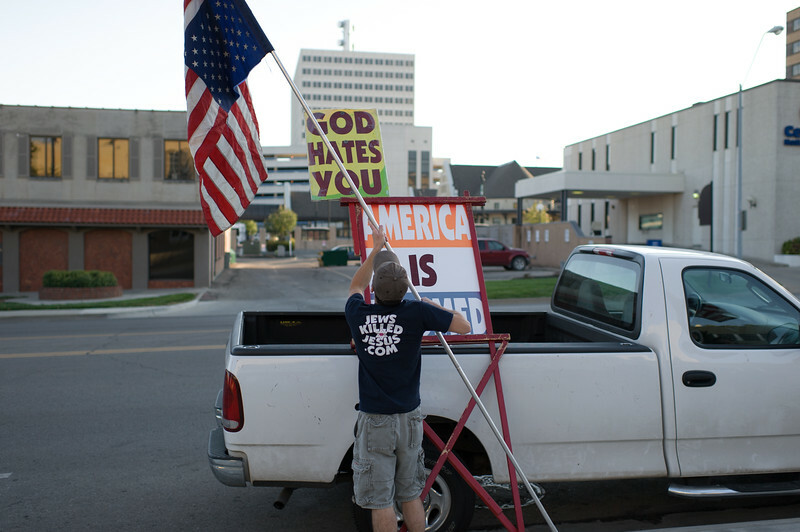 As of October 2011, the Westboro Baptist Church has conducted over 46,659 pickets in over 834 cities around the USA. A member of Westboro Baptist Church gives her cousin a back-rub during daily bible instruction. 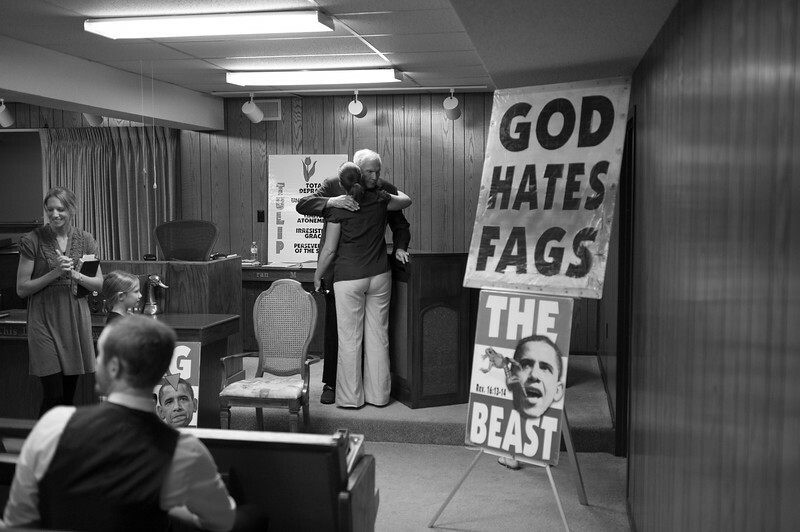 The one-hour bible class takes place in the basement of Shirley Phelps. Shirley Phelps is one of Pastor Fred Phelps 13 children. 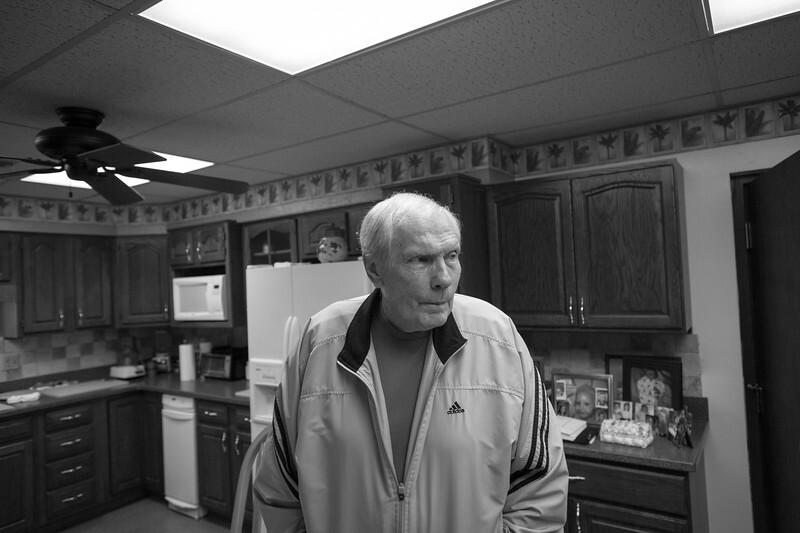 Pastor Fred Phelps, 2008 at his home in Topeka, Kansas. 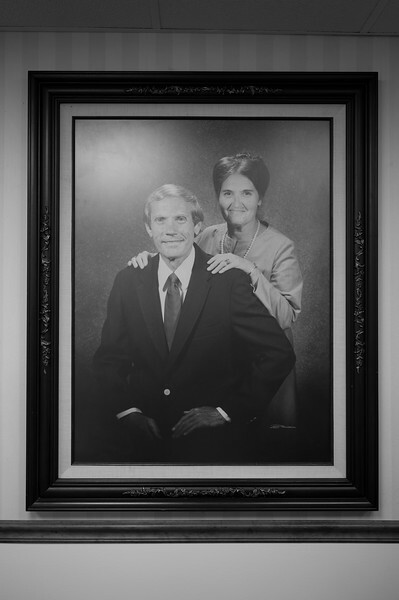 An image of a young Pastor Fred Phelps, now 82, and his wife of 59 years, Margie Marie Simms, hangs in the Phelps Law Chartered office in Topeka, KS. 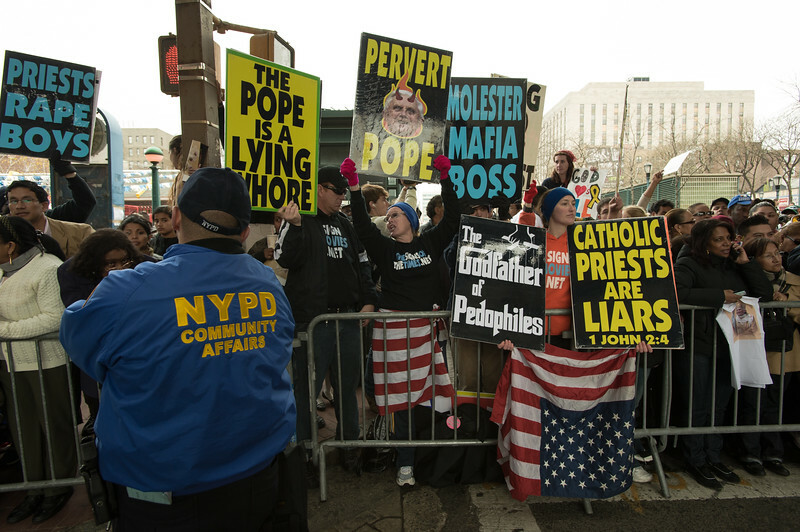 Members of the Westboro Baptist Church protest the Pope's visit to Yankee Stadium in 2008. 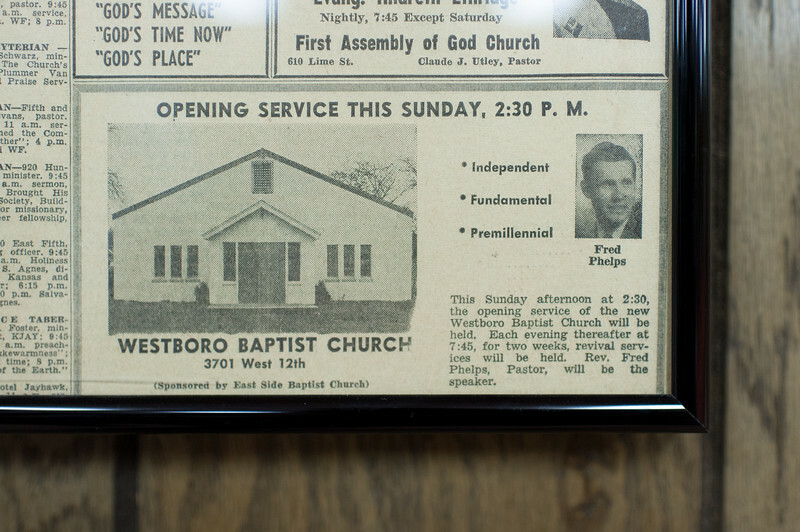 Reverend Fred Phelps is the founder of the 71-member Church located in Topeka, Kansas. 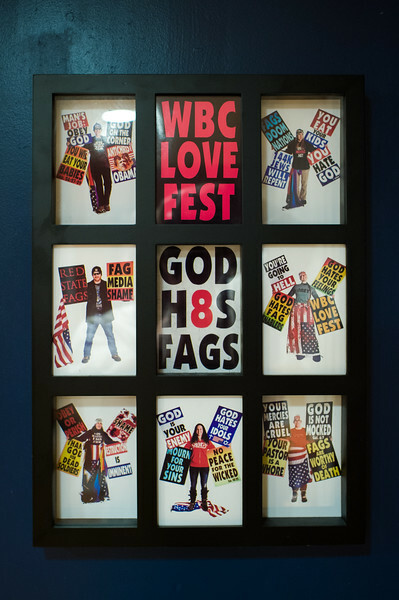 The WBC is opposed to American’s acceptance of homosexuality and routinely pickets the funerals of U.S. soldiers killed in Iraq and Afghanistan. 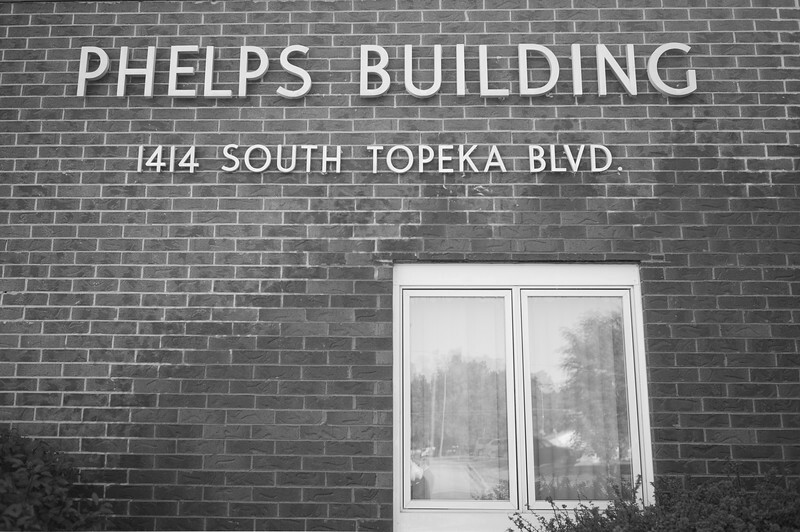 The actual church is an extension off of Pastor Phelps’s home, which is located in a middle-class Topeka neighborhood. In one house, Phelps raised his family, and eventually the neighbors' houses were purchased, effectively creating a compound. 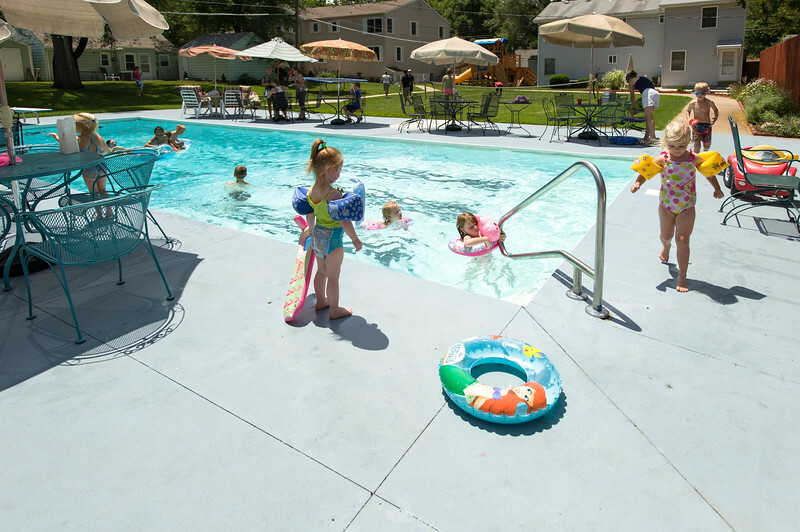 All the houses share a large fenced backyard, which includes a full-sized pool, basketball and volleyball court. 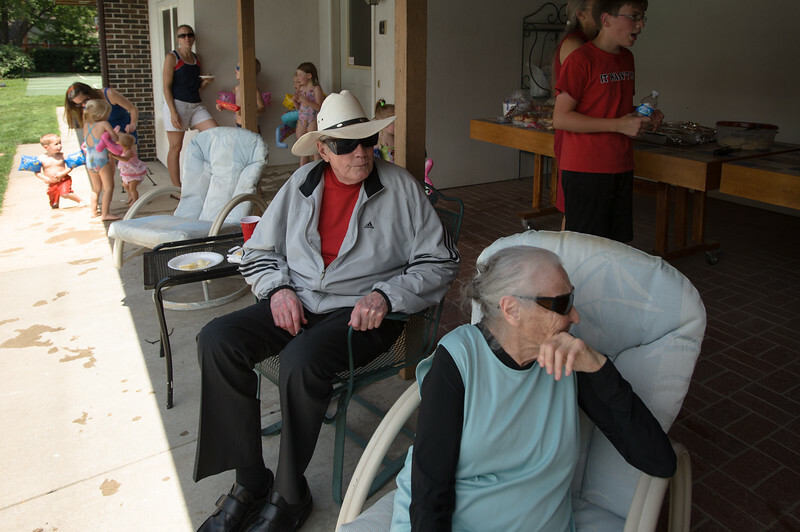 Pastor Fred Phelps and his wife Margie Marie. The home of Shirley Phelps-Roper, daughter of the late Pastor Fred Phelps. Topeka, Kansas. Shirley Phelps-Roper, daughter of Pastor Fred Phelps, visits with one of her nieces in her home office in Topeka, Kansas. Chloe Phelps, daughter of Ben and Mara Phelps. 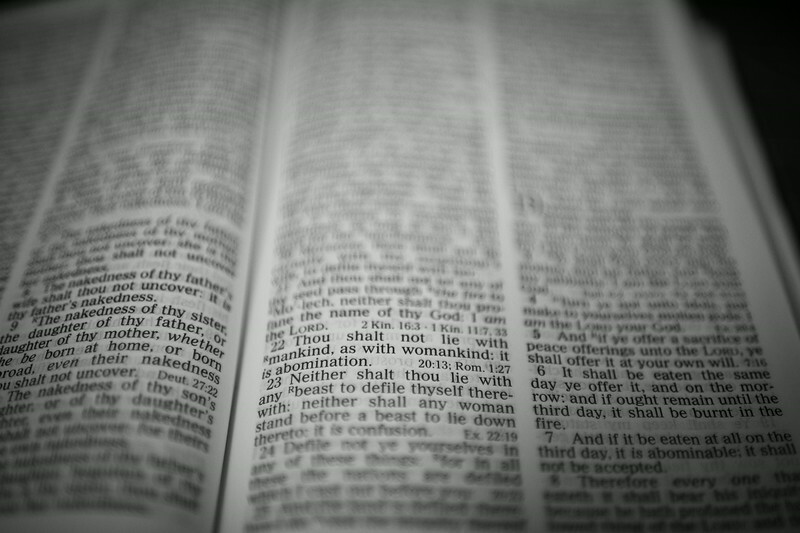 Highlighted Chapter 18 verse 22 from the Biblical book of Leviticus is the primary foundation to the church’s intolerance towards homosexuality. Westboro Baptist Church claims to be the only true church and denounces all other religions. 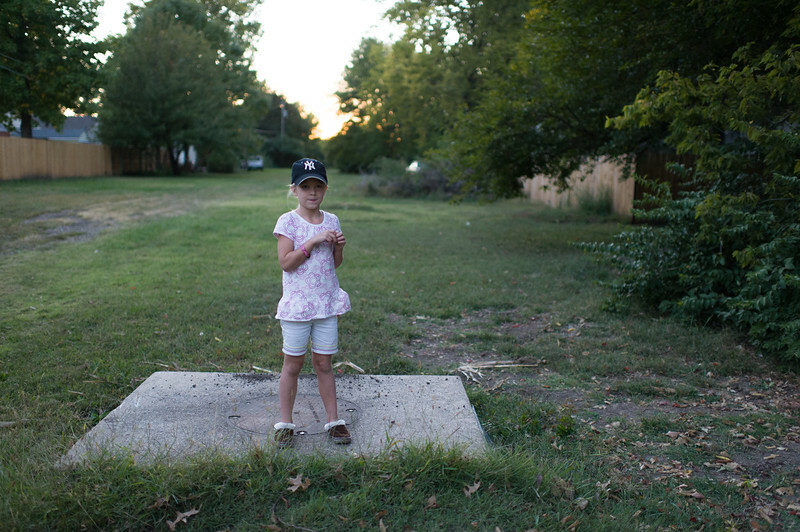 Seven year-old Faith Drain, an aspiring artist and member of the Westboro Baptist Church. 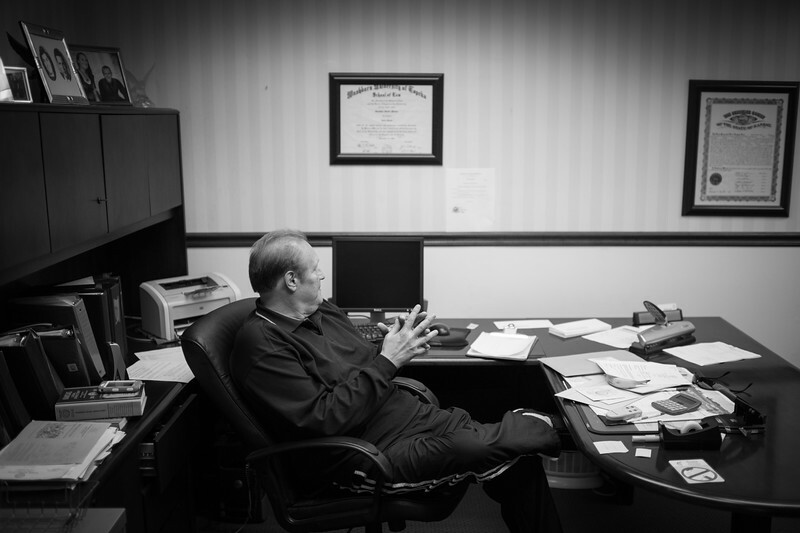 Faith’s father, Steve Drain, a 46-year-old marketing consultant, first came to the church in 2000. He was making the documentary film Hatemongers. Steve came to accept the church’s beliefs and moved his family from Florida to just across the street from the church in Topeka. The eldest of Drain’s four children, Lauren, was voted out of the church and family home by a vote of 21, including her parents, after asking questions about the religious practices that were considered subversive. The Phelps Chartered law firm. The charter was established in 1992 and has an estimated annual revenue of $600,000. The firm is located in Topeka, Kansas, not far from the Westboro Baptist Church. Jonathan Phelps, 51, is one of Pastor Fred Phelps’ sons and one of the four attorneys at the Phelps Chartered Law firm. 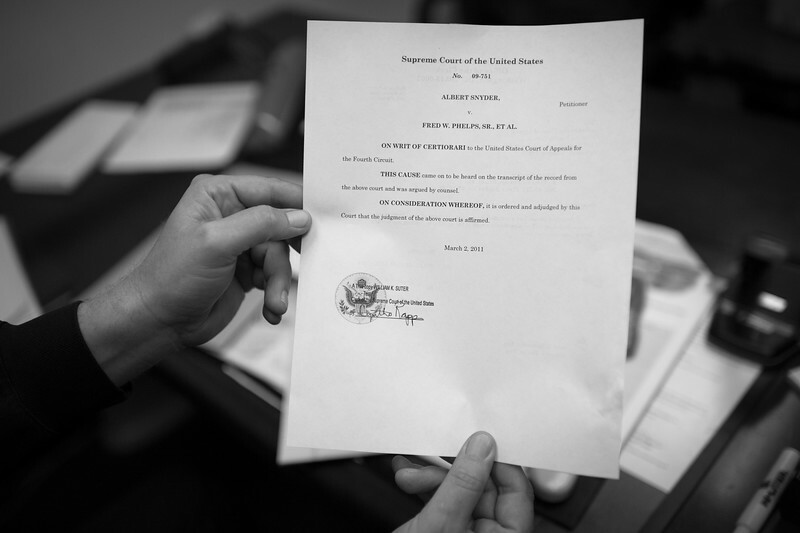 Attorney Jonathan Phelps of the Phelps Chartered Law Firm displays the letter from the Supreme Court granting a Writ of Certiorari. 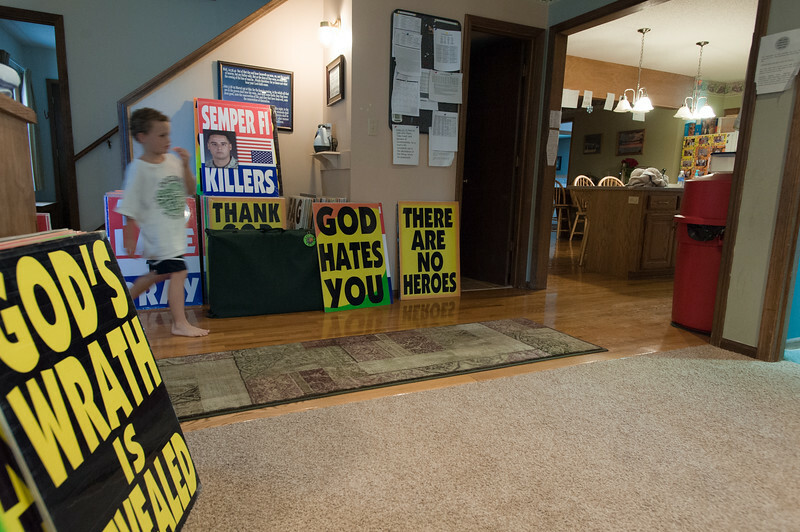 The case of Albert Snyder, father of Lance Corporal Matthew Snyder, a Marine killed in Iraq, vs. Fred Phelps was later won on appeal in front of the Supreme Court. The Court ruled in favor of Phelps in an 8-1 decision, holding that their speech was related to a public issue, and was disseminated on a public sidewalk. The case was argued by attorney Margie Phelps. 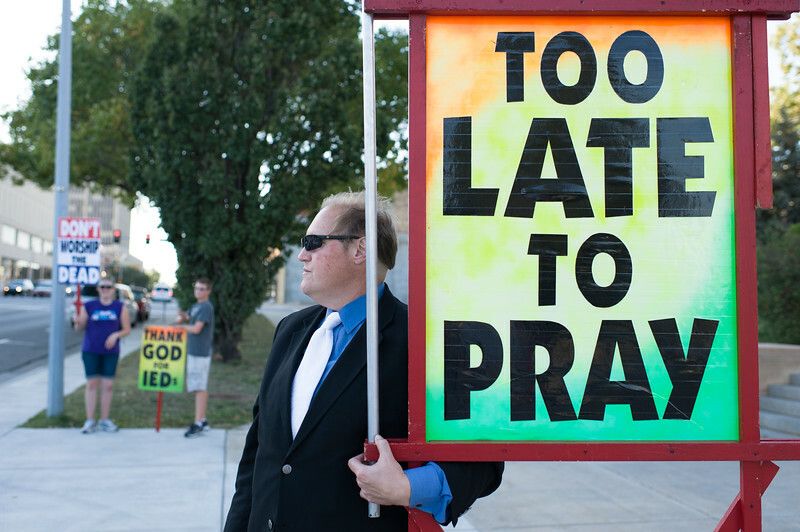 Member of the Westboro Baptist Church at their weekly picket of the Shawnee County courthouse in Topeka, KS. 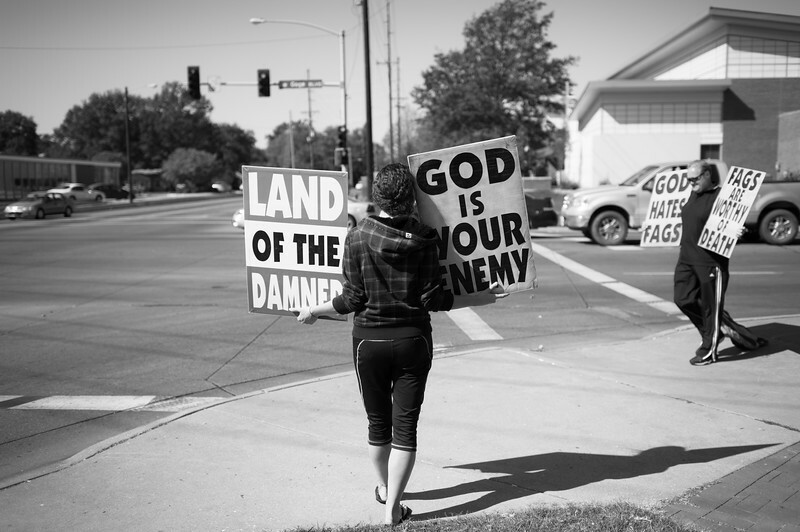 Former member Megan Phelps-Roper, at the time of this photo was a 25-year-old law office secretary and logistics coordinator for the Westboro Baptist Church, picketing on Gage Road in Topeka, KS. Gage Park was known to some as a “cruising” or meet up location in the gay community back in the late 80’s, early 90’s. The first protest was held blocks from the Phelps home in June 1991 when, according to Pastor Phelps, a homosexual tried to lure his then five-year old grandson into some shrubbery. The location of the incident was Gage Park, a known meeting place for homosexual activity. The family still protests at this location on a daily basis.